Robert Thomson joined Roland Berger’s London office in 2000 as an expert in the aerospace & defense and aviation sectors. He advises clients mainly in the aerospace & defense industry, including many of the world's leading companies in this sector. His consulting activities focus on strategy, mergers & acquisitions and operational performance improvement. 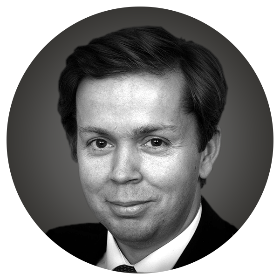 Robert is an expert on strategic war gaming; dynamic simulations of real business situations that can be applied to a broad range of competitive industry scenarios. He has applied this approach to his work in the chemicals, EPHT, financial services, telecoms, transport, and utilities sectors. He has worked as Investment Fund Manager and is the founder of Objective Asset Management, a specialist investment company. Robert earned a first class degree with distinction from the University of Cambridge in 1988. He also holds an MBA with distinction from the London Business School.